The final part of BigTaylor's potty-related commissions! 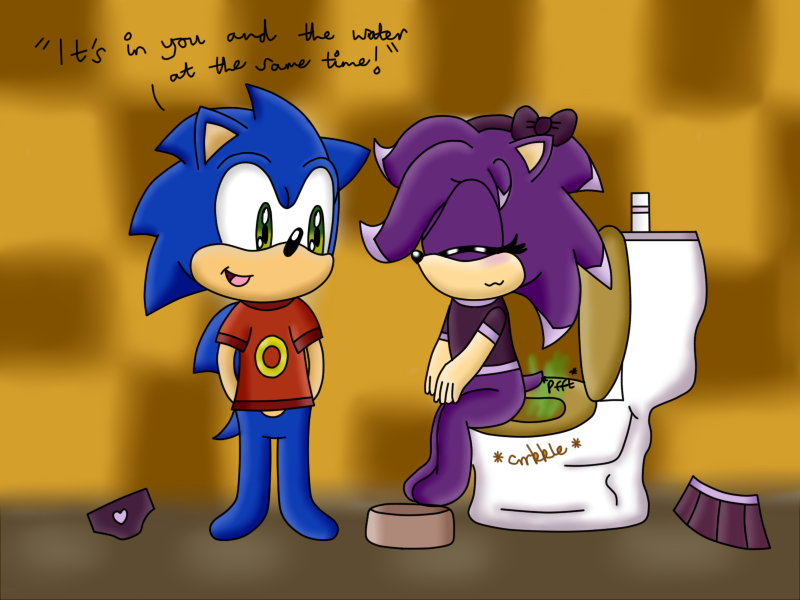 Had quite a lot of fun drawing this one :P This time around it's Kira's turn to go potty and Sonic watches as she does a bigger poop than Sonic's! heh :D even girls do it x3 Must have been a big one she drops.